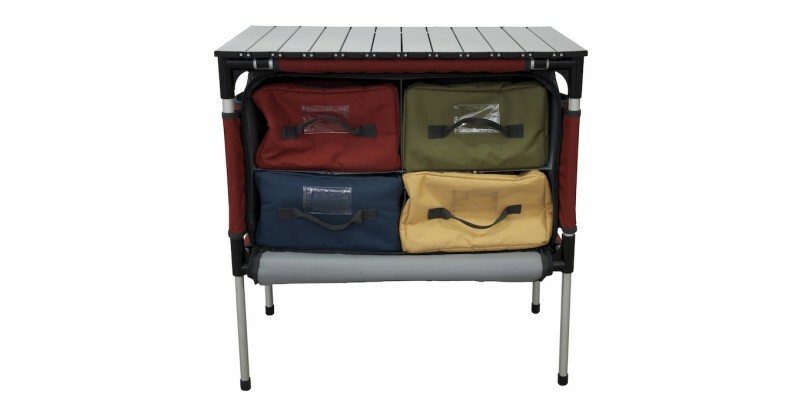 The Sherpa Table and Organizer from Camp Chef is the perfect way to get to get all your camp cooking supplies to and from the camp site and still be organized. 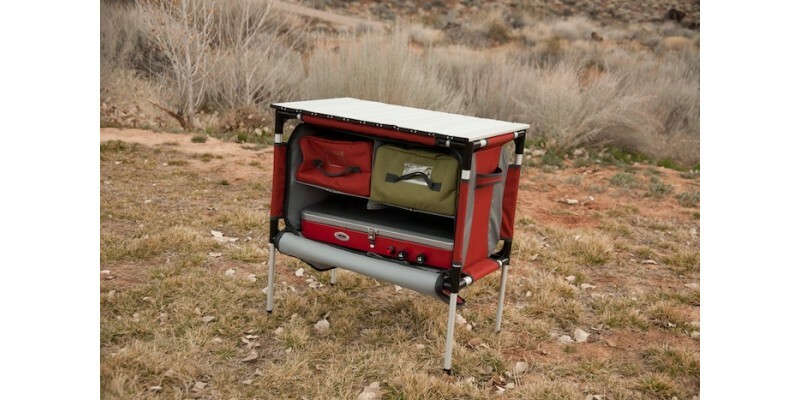 Forget lugging grocery bags to and from the car with all of your cooking ingredients and utensils—the Sherpa Camp Table and Organizer from Camp Chef can hold them all in one place. 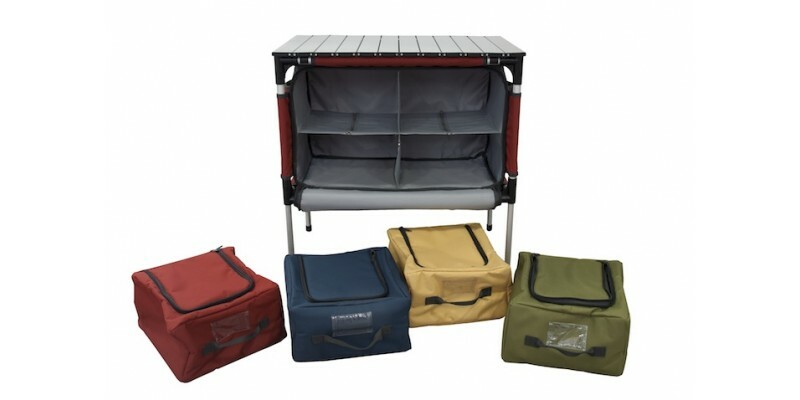 With four removable storage bags inside, you will have plenty of room for all your campsite goodies; one bag also has a lined interior so it can double as a sink. 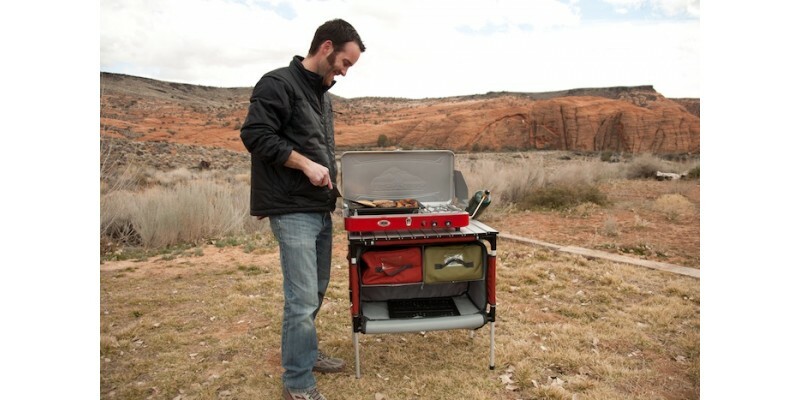 Pull out the aluminum table top from its compartment when you’re ready to eat, and you’ll have an instant dinner table. 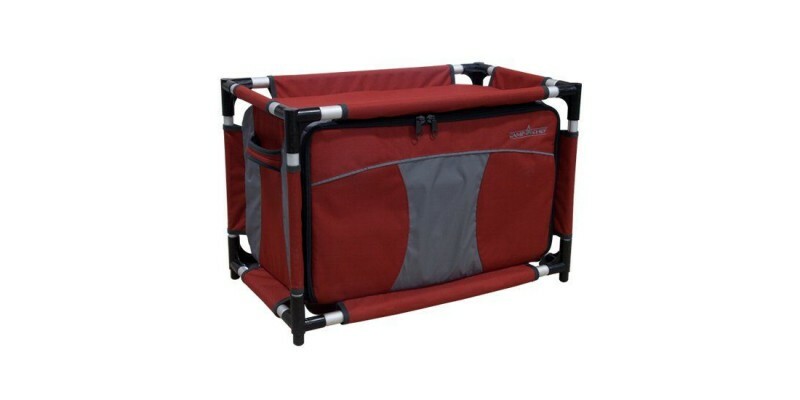 Then, when you’re packing up, stow each storage bag and use the convenient side handles to carry it back to the car. 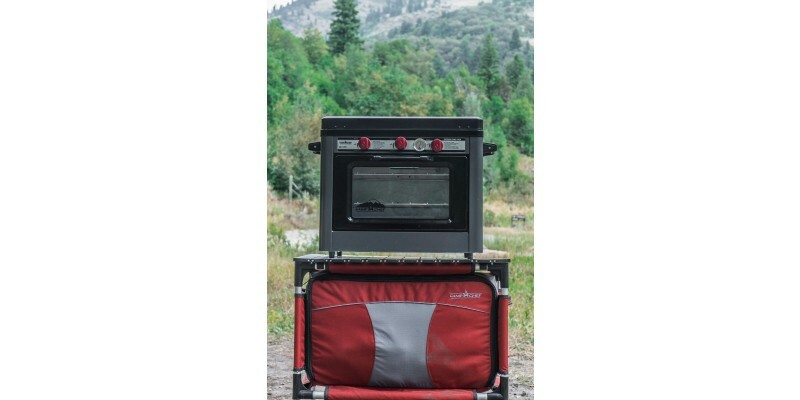 With so much utility and storage space, the Sherpa is perfect for camping, tailgating, picnicking, and more. 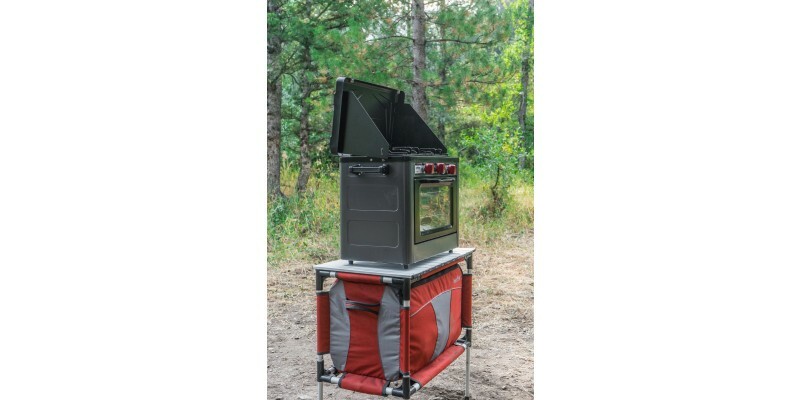 Expand your outdoor kitchen today with the Camp Chef Sherpa. Table height with legs extended - 28"
Table top dimensions: 27" x 17"
Individual bag dimensions: 12" x 11" x 6 1/2"